Aged & Community Services Australia Industry & National Partners are an opportunity for selected organisations to develop a strategic alliance with ACSA and our members. These Partners are considered industry leaders in the not-for-profit, church and charitable Aged Care sector offering goods and services to providers. With the trend of a population living longer and increasing community expectations for a wider range of quality services, the aged and community care sector continues to evolve with greater challengers than ever. Industry & National Partnership agreements are a partnership opportunity between corporate businesses and ACSA to develop market intelligence, analyse industry trends and changes, plus work towards directing outcomes that positively drive the future direction of aged care. These Partners are businesses that want to make a difference and undertake to develop and implement projects relating to key industry issues. These issues include areas such as residential reform, rural and remote funding shortfalls, addressing an ageing workforce or providing the analytical data to lobby government and industry to develop the best policies and practices. As a professional peak industry body, Aged & Community Services Australia (ACSA) expects all National, Industry and Business Partners to abide by our strict Code of Ethics. For more information on Business or Industry Partner opportunities please contact Jodie Pettersen, Manager Corporate Partnerships on (08) 9244 8233. For more information on ACSA’s National Partner opportunities please contact Trevor Lovelle, Executive Director - Membership & Corporate Partnerships, on (08) 9244 8233. 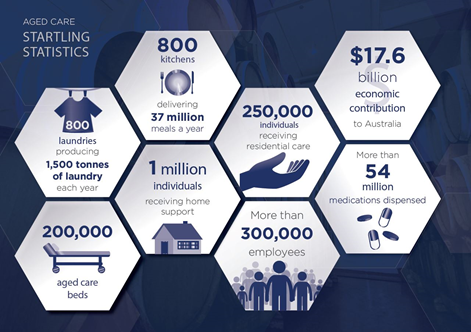 As part of our commitment to delivering highly valued services in the aged care sector, ACSA launched ACSA EXCHANGE, an aged care online marketplace connecting members with suppliers who offer preferential pricing on a range of essential products and services. Find out more about ACSA EXCHANGE here.